The 2017 Giving for Living Radiothon was a huge success, raising over €412,264 to support cancer services in Cork in; the Mercy Hospital, Cork University Hospital, Marymount Hospice, Breakthrough Cancer Research and Cork Arc Cancer Support House. As part of the Cork’s 96fm Giving for Living Radiothon, we played stories about people’s personal experiences with cancer. With your support, we can make real change happen to ensure those dealing with cancer get the care they deserve right on their doorstep. 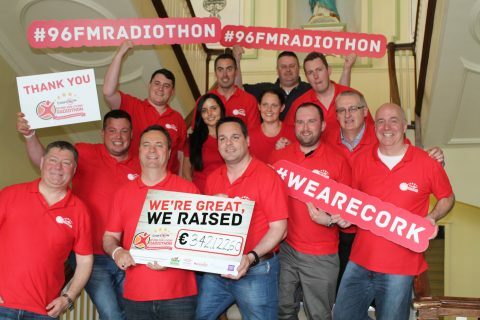 Funds raised through the 2017 Giving for Living Radiothon will be granted to the benefiting charities in the manner mutually agreed with Cork’s 96FM. See Where The Funds Go in each of the five charities.